Hair Fair! | Oh Look! It's A Blog! Hair Fair is coming soon! This post is just going to be an informational post, no sneak peeks or anything of that nature ( those are coming soon though, I promise 😛 ). However I just wanted to get out a bit of information regarding the event itself and the cause which it supports. If you are just twitching to get your hands on some demos though, be sure to join the Hair Fair Demo group, just copy and paste this link into your local chat: secondlife:///app/group/2e30d166-f3e5-e2de-ff72-b3da2d06ded2/about – and demos will be sent starting tomorrow! 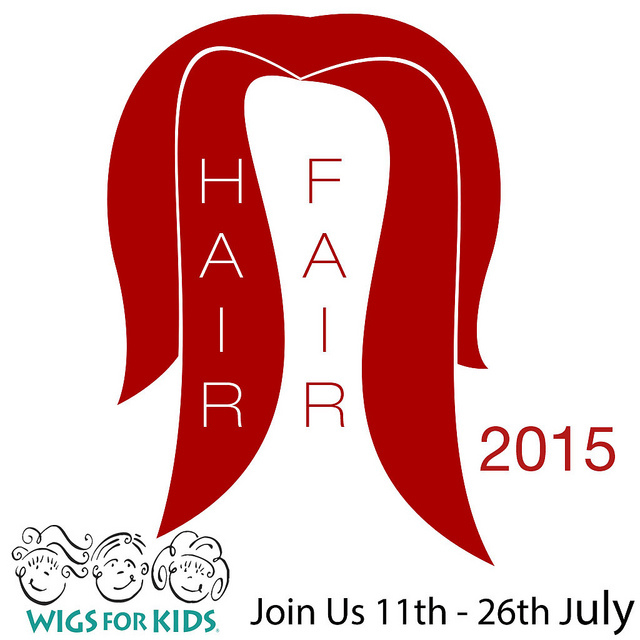 Hair Fair 2015 will run from July 11th thru the 26th – and portions of proceeds from this event will go towards the charity Wigs for Kids. Wigs for Kids provides hair/wigs and hair replacement for children who have lost their hair due to chemotherapy, radiation therapy, alopecia, trichotillomania, burns and other medical issues at no cost to children or their families. (that last part is directly from their website, which you can read more about here) . The official Hair Fair website also has a lot of information, you can visit that site –here– for all information and updates on the fair, including past donation totals. * Also please remember Bandanna Day, which will be the 26th. Bandanna Day is celebrated by removing your hair to show you care, and wearing one of the user-created bandannas available at Hair Fair. All bandannas sold at hair fair have been created by residents all over SL and 100% of sales of those go to Wigs for Kids. They will ONLY be available for the duration of the event, and will be transfer so they are gift-able. This entry was posted in iheartslFeed, Uncategorized and tagged blog, Charity, Hair, Hair Fair, Hair Fair 2015, Second Life, SL, Wigs, Wigs for Kids. Bookmark the permalink. ← Something in the water.